One of my goals this year was to sew every day and, I must admit, I’ve done pretty well. My mom came to visit through winter break so I decided to do a little hand applique. I managed to get a face on the second nutcracker in my Christmas Carol row along quilt. (The bells were my row. ) I also started trying to sew my way through a lovely bag of strings and bits. So far, I’ve got 22 9″ blocks so far and the bag looks just as full!!! I even used a few of those scraps in my project quilting challenge quilt. The next two nights are “two job” nights (that’s when I leave for work by 7 am and get home around 10:30 pm) so I’ll be lucky to sew a couple strips each night. I’m really curious to see how many blocks are hiding in this bag….22 we’re sure of, maybe 3 times that? I can’t wait to see! Oh, and I almost forgot… here’s the look I get when I suggest Gizmo needs to move so I can trim something. I love Project Quilting because it gives me a chance to stretch myself and forces me to prioritize some quilting time. The theme was Hope Springs Eternal. 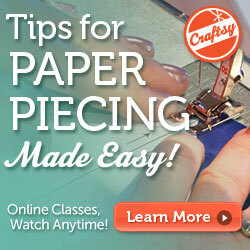 I’m still focusing on using my scraps…optimistic as ever that I could make a dent. Some of the bits in this quilt came from the bag I’m trying to use up first. And some came from my Bonnie Hunter scrap user system. I tried to use a wash of color to represent how hope pushes back darkness. I was thinking of a pillow this time but my star decided (at 11 PM last night) that it really needed a small, scrappy pieced border. And then my sewing machine decided that it was going to have a tension issue. So I plan B’d my way to a finish just before the deadline….because hope springs eternal! And hers’s my barely finished in time quilt! Linking this up to Persimmon Dreams! I love New Year’s! A whole year of possibility ahead… no mistakes yet. Did I mention that I haven’t used my seam ripper all year? We made ribs today (which is an all- day process) along with all the sides and hard friends over. My mom is visiting and it’s super nice having her here. I feel quite lucky that my mom is someone I genuinely like spending time with. I have dubbed her, “Grandmother of Cats.” Here she is with Milo. I’ve been nibbling at my pile of scraps, too, and three more blocks are done. The bag, however, seems just as full. I wonder how many blocks are hiding in those scraps? I have scraps… lots of scraps… my own scraps, scraps I’ve acquired… lots of scraps. And I love my scraps! I love using them and seeing blocks emerge from the bits some might throw out. But this year I want to make a concentrated effort to utilize more of my scraps. So, I’m starting with this bag. Griff is in the first one for scale. I started last night on more string blocks. I’m working with 9.5″ unfinished blocks so 100 of them will make a good-sized queen quilt. I was thinking 6×6 for a donor quilt. The smaller left over bits are going into crumb blocks. So far, the bag looks just as full…I wonder how many blocks until it shows any improvement? 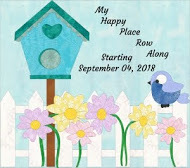 I’ll keep you posted! 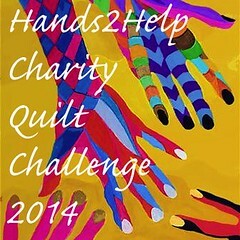 We’re looking for blocks in the Just Wanna Quilt logo colors. 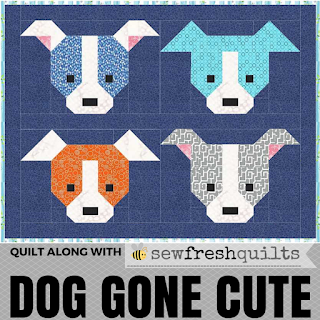 We’d love to have as many people send a quilt block as possible. 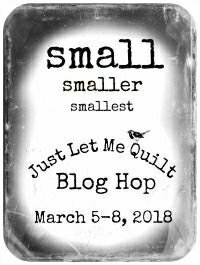 Hop over to Just Wanna Quilt and check it out. The podcasts are so much fun to listen to! It’s nearly time for bed so I’m going to practice my daily stitching goal with a little hand applique before bed. 1. Stash control… fold it, cut it, use it up… whatever…. just get it better organized! 2. UFO’s…. need I say more? Mine are in the triple- digit category and some of them need to come to light as finishes. 4. Quality time… yep, I’m not using my time as wisely as I should. I want to spend a few minutes each day doing what I love even if that’s a hexie on my break at the second job or a quick 4- patch before bed. 6. Sewing room renovation. I’ve come a long way but it’s time to finish. There may even be a coat of paint on the horizon. So, those are my goals….I feel a touch tired just thinking of them. I know, however, that 2019 has lots of potential to be a red- letter year! 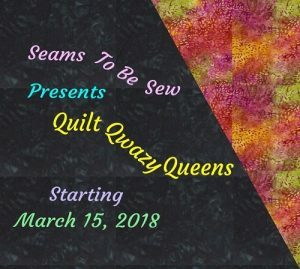 Linking up to the #2019planningparty at Quilting Jet Girl. What’s on your list for next year? Oh, the holidays…I do love them but the whole 2-job, grading time, busy bees at the chocolate shop, trying to squeeze the season into the margins…and find time to quilt! (I’m not complaining here, really, because I love my crazy, busy life. ) 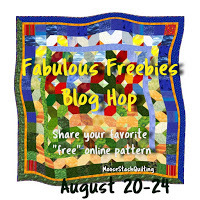 It took me all week to get the last clue for Bonnie Hunter’s mystery quilt. I’m take the slow approach this year and really focusing on increasing my accuracy. Even after 35 years, there’s room to improve. I made a dozen triangle units and then moved on to this week’s clue and made….wait for it…..2/3 of one set. Whew! That’s kinda hard to admit. But it’s ok. As the week goes on, I’ll try to steal more time to work on these while figuring out where the tree lights are and when to put them up. 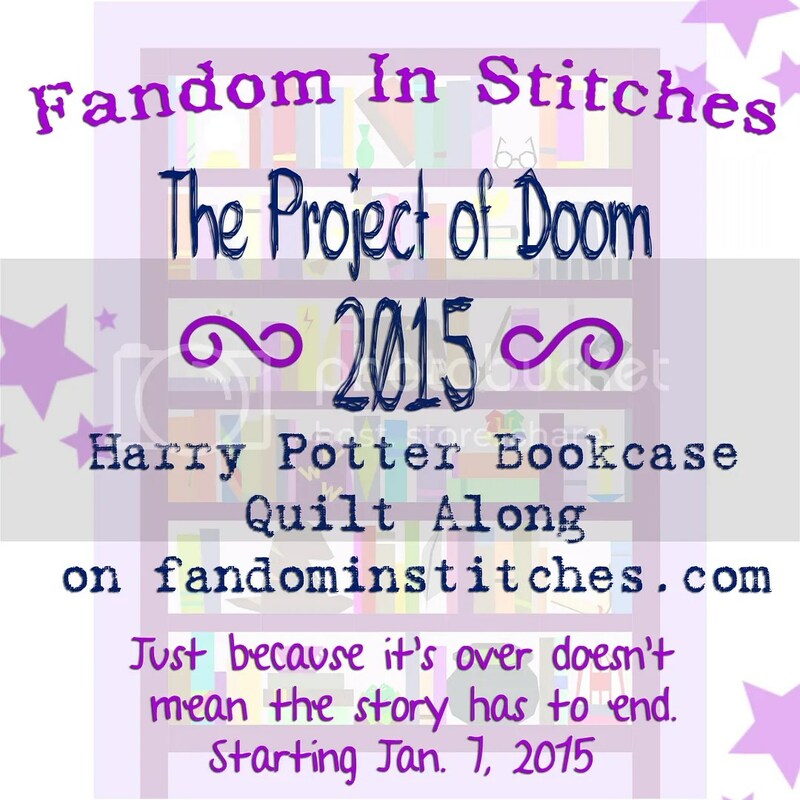 In the meantime, I’m busy enjoying seeing everyone’s progress and sewing vicariously. Here’s a few pictures from our tree adventure on Saturday. Hopefully, when it comes time for next week’s link up, the tree will be decorated and the gifts under it. The first clue was easy little four patches. I decided to simply do a dozen at a time. Now, part two of Houston… this was the most amazing array of quilts! I’ve tried to make sure each one has its attribution card. I’ll add more later… there are even more beautiful quilts to share but now I’m going to quilt! Oh my goodness…. Houston! Where do I even start? The people, first of all… the amazing group from Just Wanna Quilt took me in like we’d been rooming together for years. Judy, Carol, Jeanette and Allyson were terrific roommates and Elizabeth Townsend Gard and the rest of the booth crew were so fun to hang out with! I met amazing people like Leah Day, Jenny from Missouri Star and Sarah from Social Justice Sewing League. And I was adopted by a group of quilters from the UK and Texas for the Saturday evening event. And the quilts….oh my. Some of the most beautiful work I’ve ever seen. Each photo should have a matching photo with the maker’s information. These are some of my favorites. This will be part one…. more adventure memories to follow.